While on several continents a financial crisis occurred,in 1996 there were several attempts to enter the Formula One, or even tore-enter the Formula One. During the season Forti Corse were declared bankrupt after the British Grand Prix and took no further part in the championship. 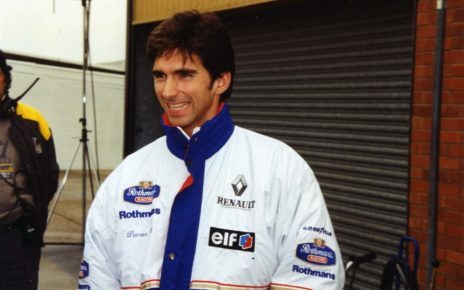 Damon Hill became the drivers champion with Williams, after his father did as well years earlier. 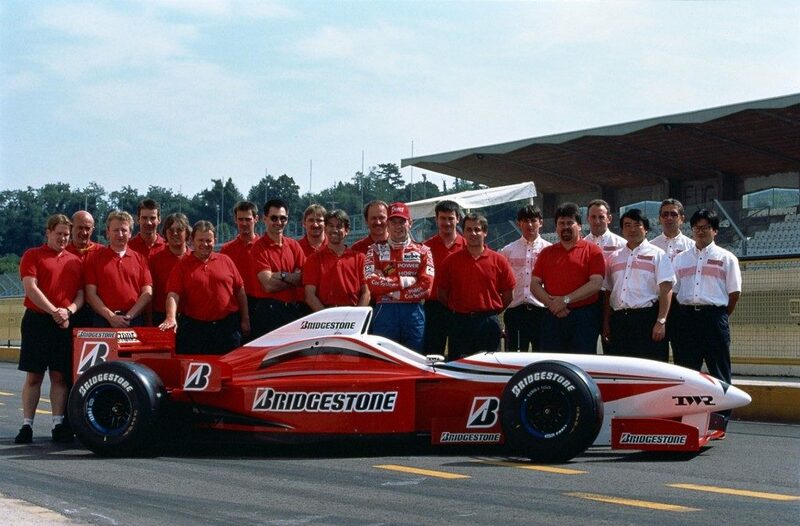 In the early months of 1996 Bridgestone was announced to deliver tyres to the teams in the Formula One. To develop their tyres Bridgestone adopted one of the Arrows FA17’s from Tom Walkinshaw and used it intensively on circuits as Imola, Monza and Magny-Cours to test and develop their Potenza tyres. 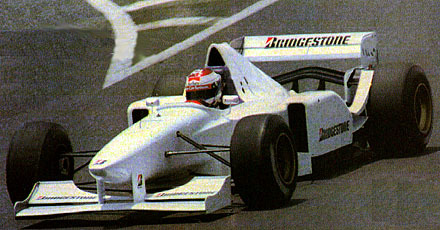 Jos Verstappen, Ricardo Rosset, David Brabham, Tarso Marques and Damon Hill tested with the Arrows FA17 Bridgestone test car. 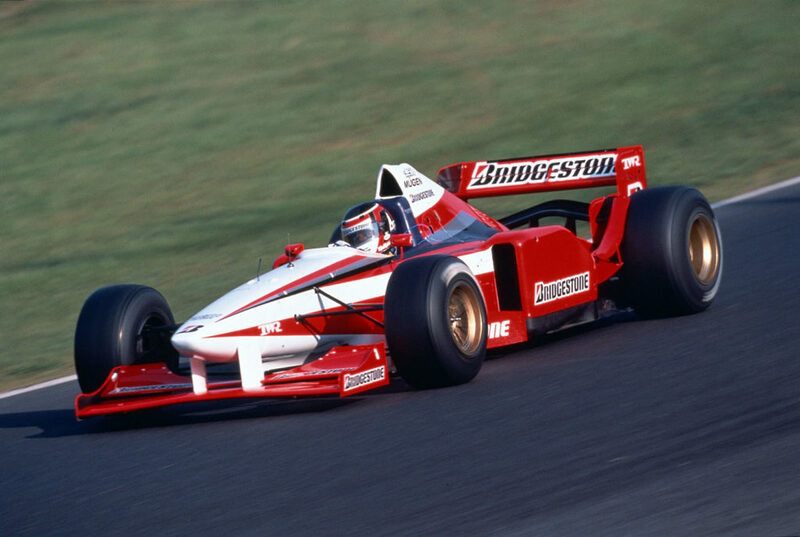 The small Durango team entered F3000 in the early 1990s failing to win a single race in the series. During this period Pinton and Magro already had the idea to enter Formula One and in December 1995 announced they were on course to enter F1 in 1997. At first no one took the announcement seriously and dismissed it as a publicity stunt to gain sponsors for their F3000 team. 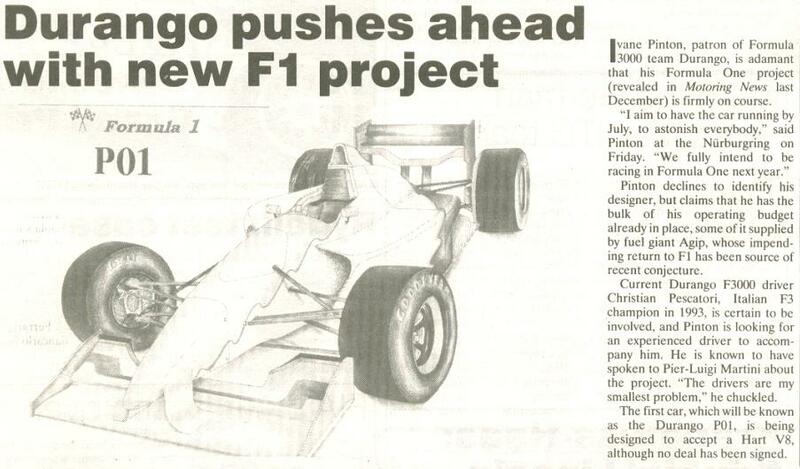 After a couple of months of silence, on the 15th April 1996 Pinton announced that the Durango team was ready to enter Formula One in 1997. Now armed with drawings of a concept car named the Durango P01, the project appeared more credible, and people began to take notice. The P01 car was designed by Enrique Scalabroni and the chassis would be built by French composite specialists SNPE. 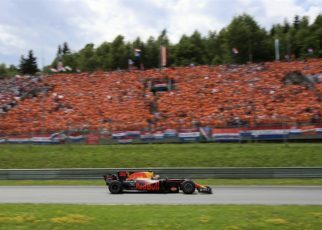 Sadly, as happened with many attempts those days, Durango could not get enough financial stability and was forces to drop their Formula One plan. Read the full story here. 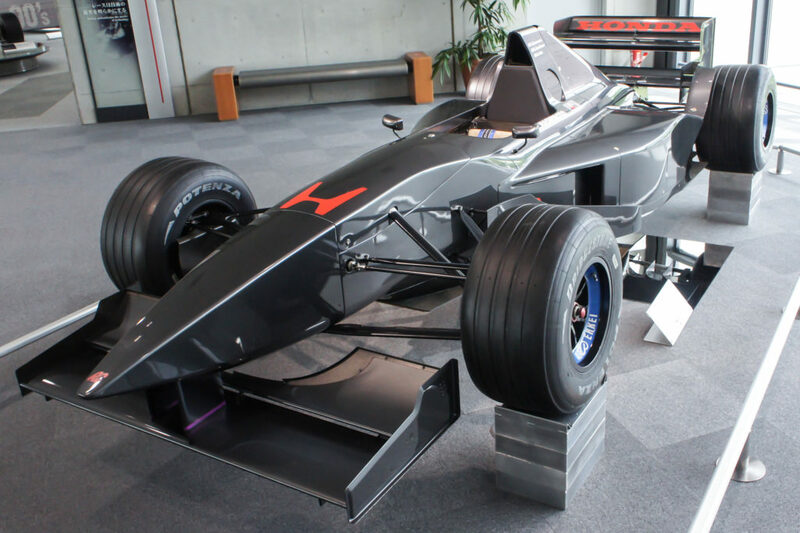 The Formula One cars made by some Honda engineers between 1991 and 1996 are for me still an subject it’s hard to find out how the car came to their origins,and how far Honda was backing the private projects. I’m working on these HondaF1 cars and hopefully I can publish next year the complete story. 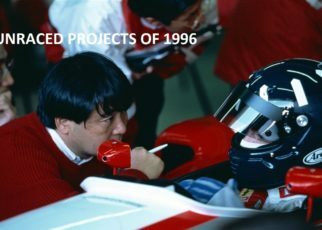 I bet you didn’t know, in 1996 the rumours appeared that Indonesia was working on their own Formula One team under the leading vision of Hutomo Mandala Putra, better known as Tommy Suharto the son of former Indonesian President Suharto. With the Humpuss group Tommy Suharto was single-handedly creating an Indonesian motor industry. In early 1996 Suharto bought a controlling interest in the Italian car-making firm Lamborghini. The plans with it? Enter the Formula one with the Humpuss F1 team powered by a Lamborghini V10 engine. Roy Haryanto was already rumoured to be one of the drivers. Of course Humpuss would never appear on the grid. 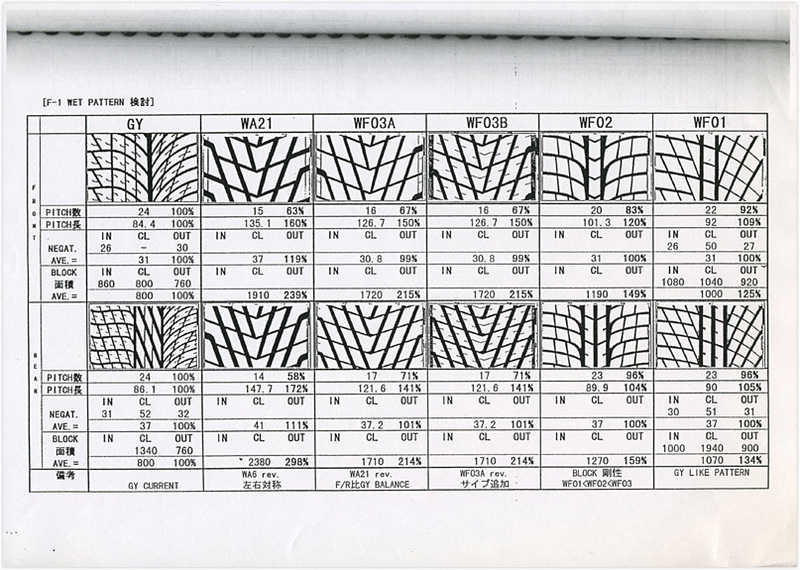 There was another car Bridgestone used to test and develop their Bridgestone Potenza tyres with. The Ligier JS41, in white livery. Jos Verstappen and Damon Hill tested a couple of times with the Ligier. The test results below the article are from June 5th and June 6th 1996 at Suzuka, when Jos Verstappen tested with the Ligier JS41 powered by a Mugen-Honda. More detailed material will be shown when the article about the Ligier JS41 Bridgestone test car is completed. Pacific withdraw from the Formula One at the end of 1995. Soon the first rumours came around of an eventually cooperation between Keith Wiggins from Pacific and Eric Broadley from Lola. Broadley, who created the Lola T95/30which was tested by Allan McNish a year earlier, was planning his re-entry in the Formula One. The original plans were to use the Pacific PR03 designs for the Lola T97/60 or perhaps already for the unseen Lola T96/30 which would be a mix of Lola’s previous T95/30 and the stillborn Pacific PR03. Later on, it became clear that Keith Wiggins joined the Lola cars company to coordinate the team at Lola’s Huntingdon base. Pacific signed a contract with John Judd in 1995 to supply Pacific Grand Prix in 1996 their V10 engines. These were ex-Yamaha V10 engines bought and tuned by John Judd and his company. At that time Pacific’s co-owner, Bertrand Gachot and Oliver Gavin were touted to be the drivers for 1996. I am not aware of any available blue prints or photos of the Pacific-Judd PR03. as in 1995 in 1996 the same rumours stood strong in the paddock. 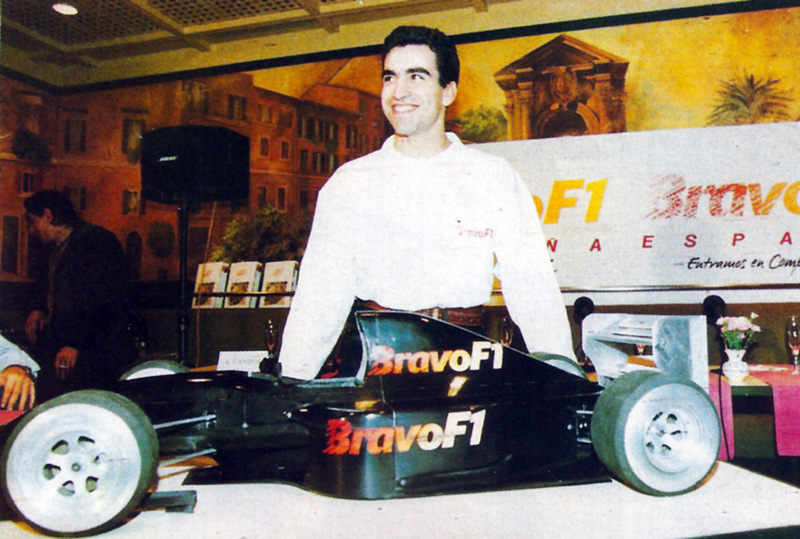 Pro Drive was to enter the Formula One with their own team, and David Richard as the team manager. In 1996 Pro Drive was rapidly expanding its factory in Banbury, England. There were two stories. Pro Drive was to set up a big international touring car program; the other was the set up for a Formula One team. Rumoured was also the involvement of Fuji Heavy Industries. Fuji, left with a bad taste after the 1990 season. Subaru, parent company of Fuji, design the flat V12engine with no success. Pro Drive did not appear on the grid. 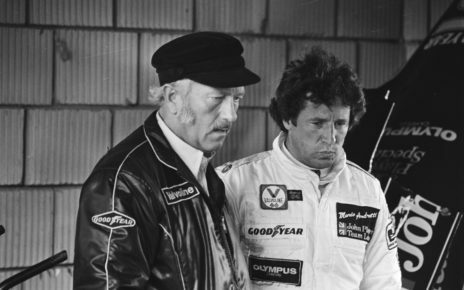 Team boss Don Nichols announced in early January 1996 in Lourdes he was aiming on a return in motor sport to win the Le Mans 24 Hours and eventually bring the Shadow team back in the Formula One. Eventually Shadow would not make it’s return to Formula One. In early 1996 Jacky Stewart denied that a deal was made with the Japanese Ikuzawa. 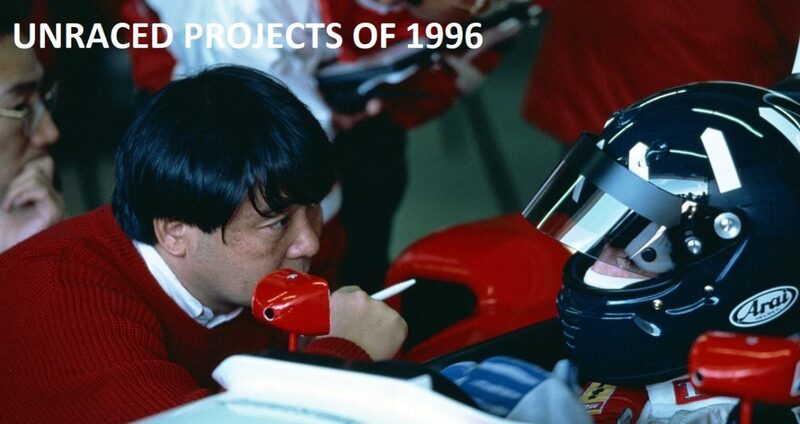 In 1994, Ikuzawa announced their plans for a Formula One team, as you can read here. Later it would become clear that the team would not appear on the grid due the financial crisis that hit Japan.However, it did not mean the end of the project. Stewart already sold out several key players from the Ikuzawa project. While Stewart denied the team was using the Ikuzawa HW-001 as their base. It became clear that Stewart did used it as solid base. Perhaps this rumour was for many too small to pin point as a serious attempt.However, Formula 3000 team Supernova announced their interest to enter the Formula One in 1997 or 1998. 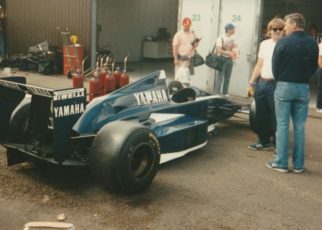 David Sears’s plans was to buy himself into the Arrows team, before Tom Walkinshaw bought the team. Sears tried his best. Sadly, his attempt was unsuccessfully. The team would not appear in the Formula One. However,it was not Sears’s first attempt to appear in the Formula One. Earlier he tried to buy himself into the Simtek team. Read the full story here. Tom Walkinshaw announcement he would stop working with the Ligier team in early1996 opened the way for the Scotsman to field his own Formula One team. His TWR (Tom Walkinshaw Racing) facilities in Leafield, near Oxford in England reachedF1-standards and the rumours appeared that Tom was working on its own Formula One car and would made its debut with the TWR F1 Team in 1997 or 1998. Later Tom Walkinshaw would take over the Arrows team. Canada 2000 – How Jos the Boss became the Boss!